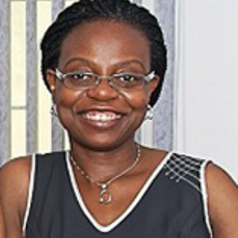 Dr. Afolabi is a female gynaecologist, and also works as a Professor of Obstetrics and Gynaecology, as well as a Consultant Obstetrician and Gynaecologist, in the College of Medicine, University of Lagos/Lagos University Teaching Hospital. She has a first degree from OAU, Ife (1992), specialised and worked in the United Kingdom for a total of 8 years in various posts and has a postgraduate doctorate in Medicine (DM) from the University of Nottingham, UK. She is a Fellow of the Royal College of Obstetrics and Gynaecology, UK, the West African College of Surgeons, and the National Postgraduate Medical College of Nigeria. She has practised obstetrics and gynaecology for 18 years now. She established the Maternal & Reproductive Health Research Collective, a not-for-profit organization that seeks to reduce maternal mortality in Nigeria by advocacy, research and community outreach programs.